Jen and I have a confession to make. 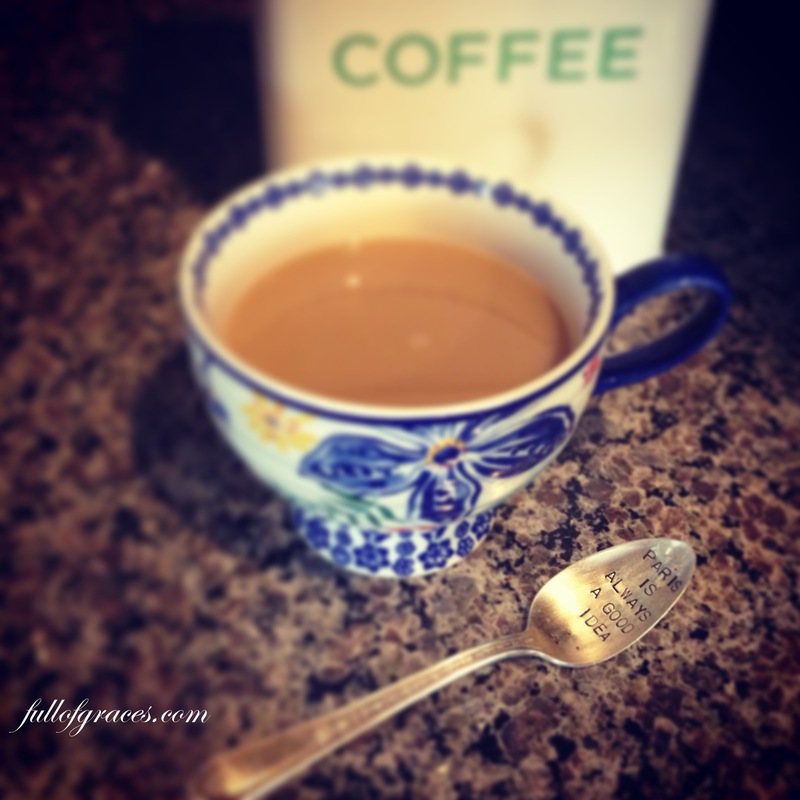 We love Coffeemate Non-Dairy French Vanilla creamer. I know. We know. We, the lovers of non-chemical cleaners, we, the wearers of all-natural deodorants, we, the bakers of our own bread, we love non-dairy creamer. Here’s why it’s problematic: non-dairy creamer is bad. It’s a fake food. It’s made up of partially hydrogenated vegetable oils (which have been linked to depression of the thyroid gland as well as decreased energy levels), mono- and digycerides (which are found in foods that contain trans fats), and dipotassium phosphate (a water-soluble salt which prevents coagulation and is “generally regarded as safe” by the FDA). Here’s another thought: if something uses chemicals to have a shelf life of two years, it probably shouldn’t go into your body. Ew. Lately I’ve seen lots of make your own coffee creamer on Pinterest, so I decided to try one for myself. And Jen was over with her youngest this morning, so she got to try it, too. Our verdict: it’s good. I’m not going to lie; it wasn’t as great as the fake stuff. Dang it. But I think that I can definitely make the switch. There was no yucky stuff in my coffee! Add equal parts sweetened condensed milk and half and half to each jar, leaving about an inch of room at the top of each jar for flavorings and shaking space. Once the flavors are added, screw on the lids and shake them well before refrigerating. Label jar lid with a sharpie. Chill for at least one hour, brew some coffee, and enjoy. Note: If you’re working with powders like cocoa and espresso, shaking won’t be enough to get everything fully incorporated, so you’ll want to use a blender or food processor, mix, and then pour the creamer into your jar. If you prefer a rich creamer, you can substitute heavy cream for half and half. I’ve never had this dilemma, I only drink black coffee, no flavors, but I understand the desire to stay away from potentially harmful substances! Hub uses rice/almond/oat milk in his coffee.